Signal DS8. It seems unlikely that the goods loop splitter (DS10)will be used, as the siding is heavily overgrown. 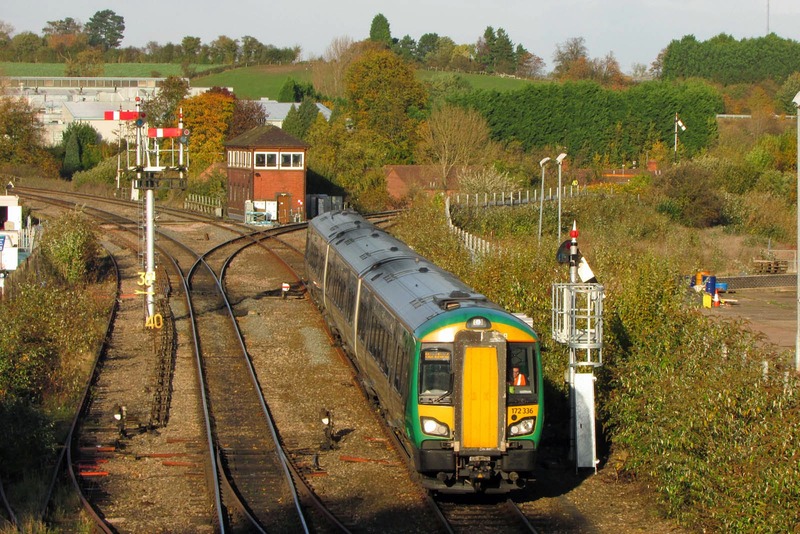 DS9 for Hartlebury and Kidderminster and DS11 for Bromsgrove. 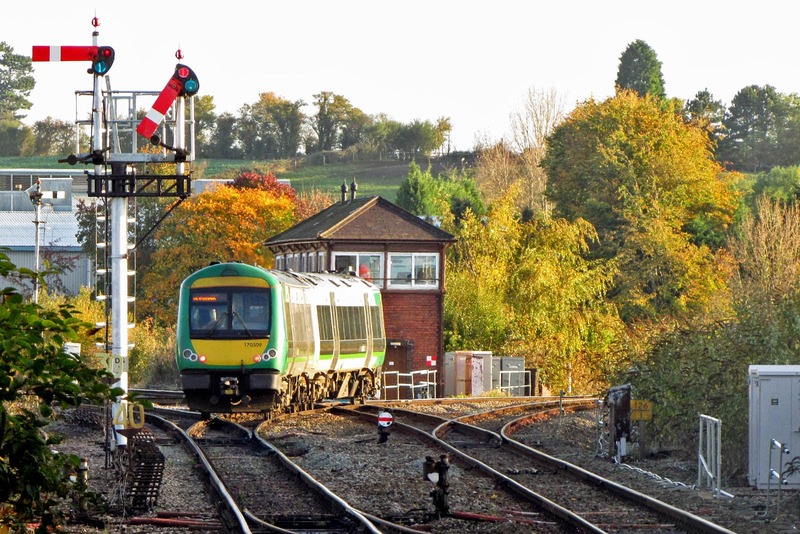 The layout at Droitwich Spa with 172336 arriving from the single line from Bromsgove. 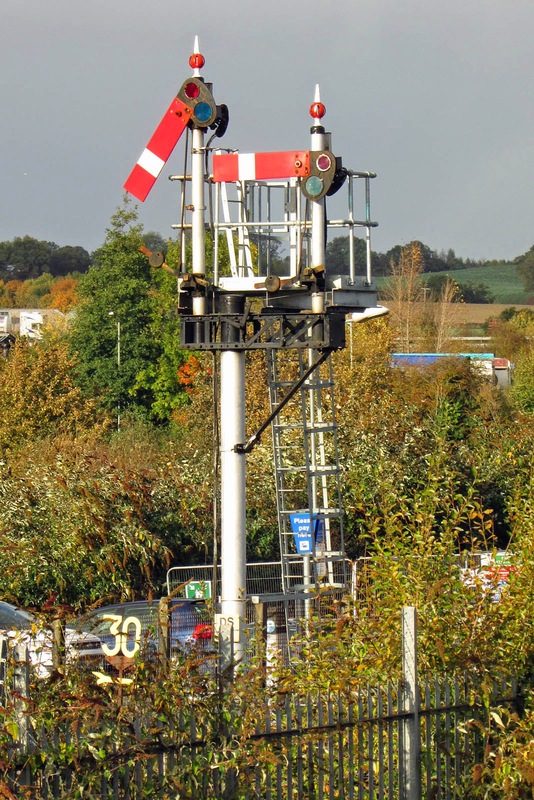 The train is passing the up starter DS71, which was relocated from a right hand driving position, Careful inspection shows the catch points, just on this side of the foot crossing at the signalbox which is a GWR Type 7d from 1907, still operating with its original frame. 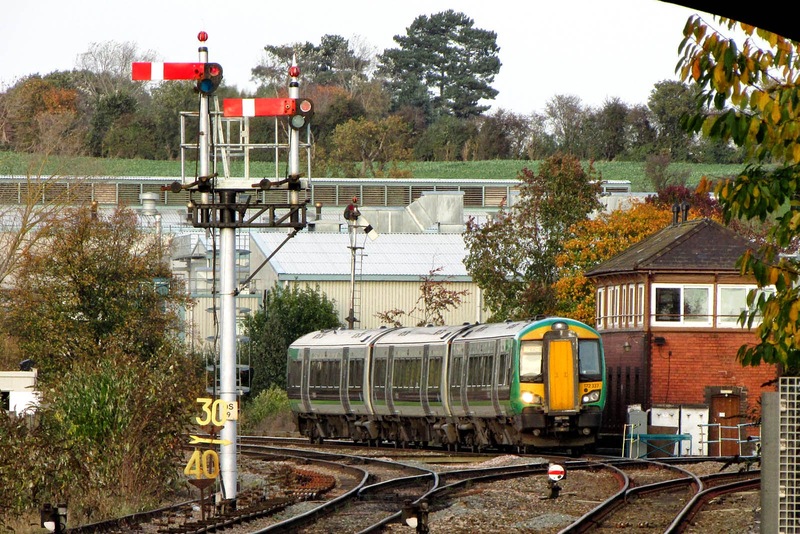 172337 arrives from Hartlebury with a train for Worcester Foregate Street. 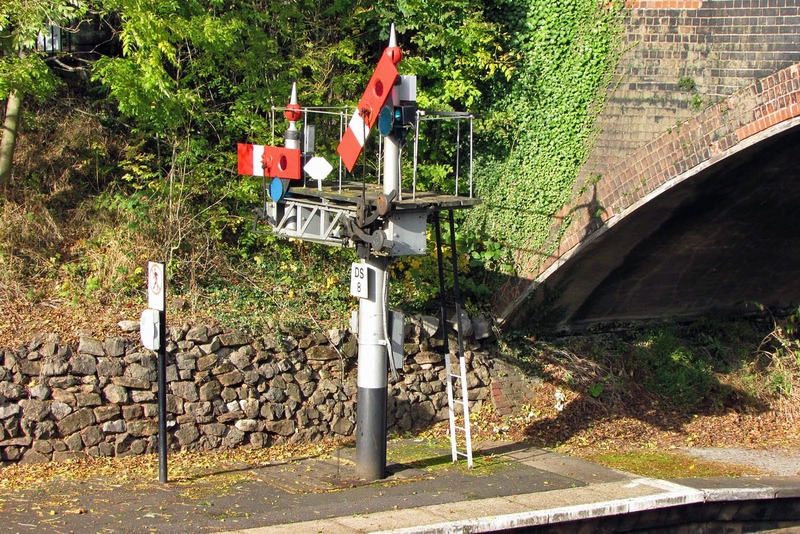 More information on Droitwich Spa signals.